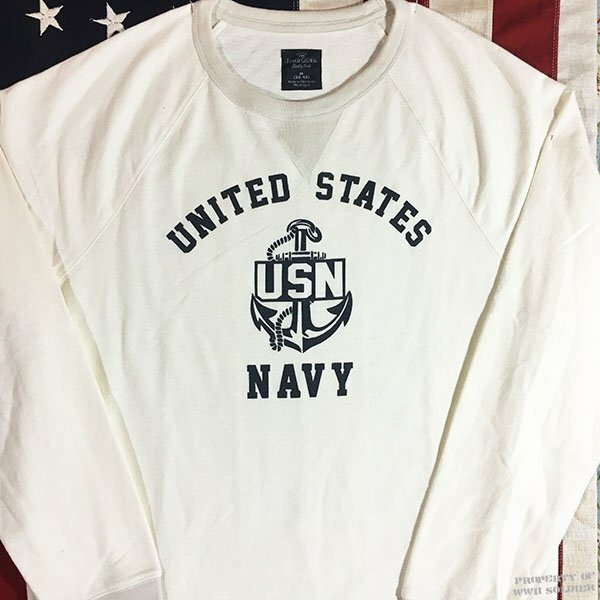 This WWII US Navy sweatshirt is a reproduction of our US Navy WWII PT shirt design, and has the V notch style that was popular on sweatshirts during WWII. 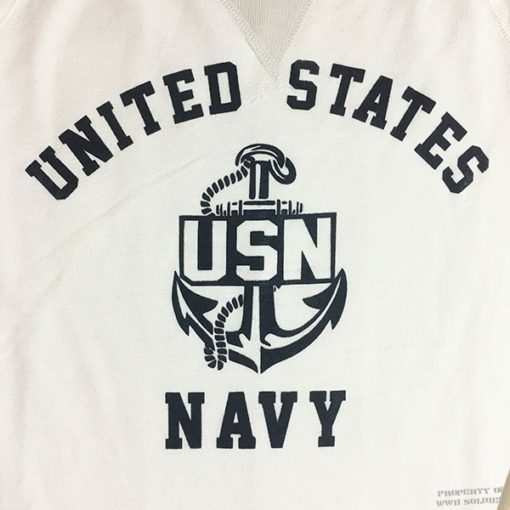 The USN Sweatshirt says United States Navy with a USN Anchor Design. The sweatshirt comes in gray or white. After the attack on Pearl Harbor, the US Navy was in the war. Over the next 4 years, many historic battles were fought, including but not limited to the Battle of the Coral Sea, Battle of Midway, Guadalcanal Campaign, Battle of Leyte Gulf. 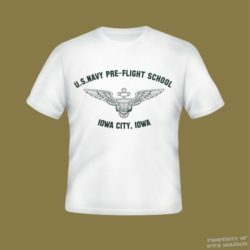 The USN supported landings in the Pacific campaign and European landings. When the Japanese surrendered, the formal ceremony was held on the battleship Missouri. By the end of the war, the US Navy had over 1600 warships. This gray or white sweatshirt is screened by hand and variation in colors naturally occur as they did during WWII.